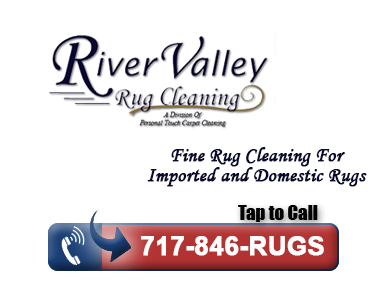 River Valley Rug Cleaning is York's only facility performing hand rug cleaning. We do not out-source rug cleaning and every rug is given individual attention. All of our cleaning is performed at our York facility by York's only Certified Rug Cleaning Company. If you have large rugs that require help to unload, please call ahead to ensure there is appropriate staff to help you. Please vacuum your rugs and have them rolled or folded neatly for drop off. Before your rugs are cleaned they will be cataloged, photographed, and inspected. You will be emailed a detailed pre-inspection sheet and called to discuss any cleaning concerns.